"Vernaccia is like an island of white in a sea of red...."
The tasting, hosted by the Consorzio Della Demoninazione San Gimignano, was one part of a week of Anteprime Toscane - a tour of the winemaking regions within Tuscany. 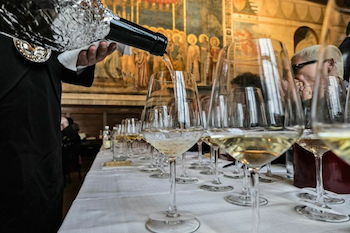 A sit-down comparative of the Vernaccia of San Gimignano and the white wines of Burgundy’s Cote Chalonnaise was held in the village center, Palazzo Comunale Piazza del Duomo. The tasting was led by Armando Castagno from Rome, a great admirer and connoisseur of the wines of Burgundy and of course, Tuscany. Castagno explained the marl soils in the San Gimignano region were similar to those in Burgundy. In a blind tasting he hoped to illuminate those similarities in a blind tasting. Despite the similarities in soil composition, he acknowledged the aspects are completely different in each region. ►Vernaccia is well-known in Italy and respected as a white. It is unique to this region despite sharing a name with the variety from other regions. ►DOC/DOCG: The first established Denomenazione di Origine Controllata in Italy - 1966. The DOCG was awarded in 1993. The weather: Mediterranean. Mild, dry summers average annual rainfall - with much typically falling in November. ►Geological aspects: 3.5 million year old soils, (young) sandy-clay and clayey-sand, layered with gravel, terra fossa and “ramsa” (spelling) and clay shales and grey limestones with “calcare” grey calcium carbonate and alkaline soils. 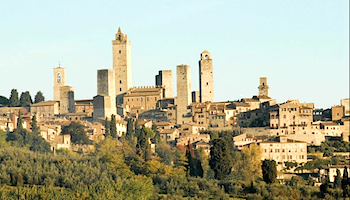 The region has a total of 1900 hectares and under vine, 700 hectares in the appellation dedicated to Vennacia di San Gimignano. 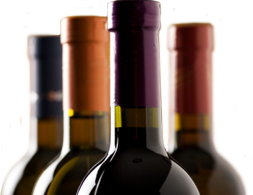 There are 170 wineries, a total of 70 producers bottle under their own label. The altitude of the region is an average of at 320m above sea level. The lowest being 67m and the highest 629m. But like any other DOCG in Italy, no vineyards are allowed over 500m. ►Typical characteristics: bright straw colour. Is often shy and closed with notes of yellow flowers (broom), mineral, cyprus or pine and saline flecked finish, which comes through with very good persistent and delicacy. 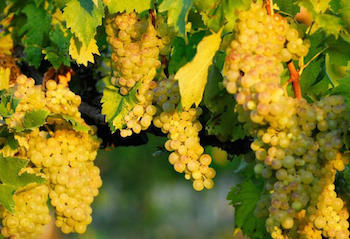 ►Variations: A young or fresh Vernaccia is known as “annata” (of the year). The Riserva DOCG wines have stricter controls of yields and restrictions are closely monitored. Riserva wines must be aged 12 months minimum. The addition of oak aging is a modern treatment. ►Regarded: It is also considered one of main sources of long lived white wines in Italy because of its spontaneous acidity/freshness and salinity. ►Consozio: Established in 1972. 85% of wine must be of the Vernnacia grape variety. Other varieties allowed are Chardonnay and Trebbiano, Sauvingnon Blanc and other low turpene “non-aromatic” varieties. ►Vineyards: In 2012 the bio (organic) district (11th in Italy) was set up. Now 25% total (31 producers) are certified organic, those numbers are increasing continuously. Nose: mineral and herbal with straw an lemon, a shy nose restrained not very fruity but crunchy, smoke and undergrowth. Palate: mineral focus with lemon rind and dried floral flavours with some phenolic finish. Correct = Vernaccia 90% (% each Sauvignon Blanc & Riesling) up to 44 year-old vines. Nose: mineral, smoke and very limestone to me, stony not lemony or piney or resiny. Weightier than last wine, very focused mineral and then the citrus comes in on the palate. Clean, phenolic, racy acidity. Finish is some saline and some fine. Correctly guessed = Chalonnaise. From Bouzeron. 100% Aligote 28-60 year-old vines at 300m. Stainless vinified, partial 30% oak and rest in stainless. Correctly guessed = Vernnacia 100%. Vines 5-16 years-old, 200-250m above sea level, certified organic. Cement aged. Sweet fruits, more than others, fresh and juicy. Floral and spicy. Very fragrant and lively quite hot and citrusy. Phenolic finish. Highest vineyard in VDSG. Organic, 13% alcohol. Pretty and floral more expressive fruit and floral lively very pretty rounded and creamy saline and resin. Lively and fresh not hot but fruit forward and great to drink. Correctly guessed: Vernaccia. From the NE portion of San Gimignano, made from 100% Venaccia. Vines up to 45 years of age. Altitude 240 m above sea level. All stainless vats with 6 months on lees. Hazelnut and creamy, honey wildflowers and buttery. Palate is also young and complex. Gorgeous and balanced albeit youthful. Lemony and mineral with some oak spice and nutty very good complexity. some textural finish.Good potency, a more masculine than elegant. Correctly guessed = Chalonnaise. From Givry. Typical powerful wines from this domain. 1/2 hectare, 33 year-old vines, 15 months in barrel 33% new oak. Stainless ferment. Resin vanilla, spice and patisserie with hazelnuts and assertive palate of acidity. hot wine with toasted and nutty patisserie flavours. Interesting, on the nose it is more obvious than the palate, a confusion between palate and nose. Closed and kind of dusty, mineral and oak dust, earthy tones, dried herbs, dried flowers and toast. Palate: Very assertive acidity and dusty, chalky nose, resin and lemons. Correctly guessed = Chalonnaise. Owners of 8 generations of vine nurseries. Wine comes from 55 year-old vines, 8 hectare estate vineyard. Floral and crunchy fruit with mineral quite restrained with straw and citrus. Very shy wine. M: vibrant and a nice wright but balanced and juicy. Just a nice bit of oak to round it out. Good fennel finish. Correctly guessed = Vernaccia. Made from 100% Vernaccia, 23-25 year-old vines. French oak vinification (10hl barrel) then spends 4-5 months maturing in barrel. Dried flowers and citrus, golden fruits, a hint of butter and brioche, mineral and chalk. Vibrant acidity. assertive acidity chalky texture and flavour with a phenolic finish. Resin a hint but the phenolic finish is obvious. Correctly guessed = Vernaccia. Organic vineyard. Annata (means fresh young wine) aged 16 months in concrete. Correctly guessed: Chalonnaise. From Montagny (not showing well as it should be). * “Vigna a Solatio” 2014: Fine floral talc aromas with citrus (less resinous than many Vernaccias) and a supple palate with fresh but soft acidity- very drinkable. * “Ab Vinea Doni” 2013: Nutty and caramel notes on the nose layered with creamy orchard fruits and citrus. Bitter almond and lime are rounded out with flavours of caramel - nice uniqueness here with good length. ** Vernaccia 2014: Delicate fruit and citrus with hints of mineral and resin. Supple texture, good weight and pleasing (not assertive) acidity. **Vernaccia 2014: Guidi’s modern style highlights the fruit in the Vernaccia variety. Stylish, floral and fruity with crunchy white and yellow fruits, alongside juicy citrus.The finish is crisp and clean with impressive power on the finish. *** “Campo della Pieve”, 2013: Very citrusy nose with some wild herbal notes, resin and bitter almond. Oak is obvious here but seems to work - quite balanced with a spicy, zesty finish. ** “Hydra” 2014: A pretty wine with delicate gold fruits, mineral and citrus that rolls through onto the palate. Lovely weight and vivacity, not assertive. ** “Le Grillaie” 2014: Fresh and pristine with very good fruit expression and pretty floral notes. Creamy weight, bright acidity with a mineral finish. Good complexity.